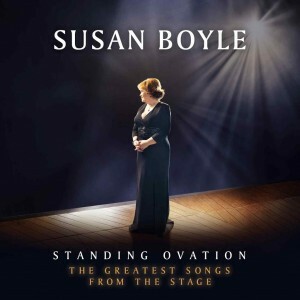 Just a few minutes on the ‘Britain’s Got Talent’ stage and Susan Boyle’s life was forever changed. After winning over audiences with her rendition of ‘I Dreamed A Dream’ from ‘Les Miserables’, Susan went on to become a global star and household name, subsequently selling 18 million albums around the world. In November, however, she will return with her fourth album ‘Standing Ovation’. A collection of some of the biggest songs from the stage, the album will also feature duets with both Donny Osmond and Michael Crawford, the latter on a cover of the ‘Phantom’ hit ‘The Music Of The Night’. With more than one million album sales in Australia alone, expect that number to climb ever higher when ‘Standing Ovation’ is released down under on Friday November 16.